He was one of the strangest celebrities ever. But history will remember Michael Jackson as a black man who managed to break through every racial and artistic barrier to become a global pop icon, a true musical genius. 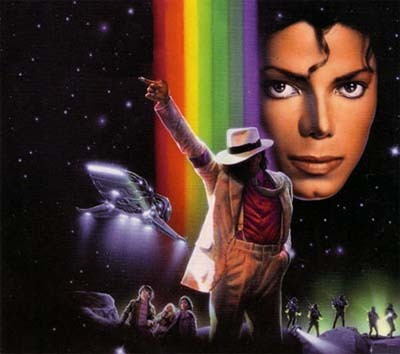 A winner of 13 Grammy awards, he etched a place for himself in the hearts and minds of people as the King of Pop with his signature song and dance moves, unusual wardrobe, feminine voice - and also as Wacko Jacko for the weirdest controversies. He was a man for whom life came full circle. When he died of a cardiac arrest Thursday at the age of 50 in Los Angeles, he had been labeled a fallen star - but a star who could still whip up a sold-out concert. Jackson was born into fame Aug 29, 1958, in Gary, Indiana, US. He never knew real life. He was five, the youngest member of his family band, the Jackson 5, and was clearly the most popular. Having already established his star power at such a young age, his next foray into pop mainstream was his critically acclaimed album "Off the Wall" in 1979. It was "Thriller" in 1982 that catapulted him into superstardom. The video for the song "Thriller" was a breakthrough success on MTV and heralded the age of the music video. It went platinum or diamond in 16 countries, including Britain, France and Japan. But it was in 1983 that Jackson introduced a dance move that will most probably be the defining visual burnished in fans' memories - the moonwalk. That singular dance move could well be the greatest move of all time. It was around the time of "Thriller" that his weirdness started showing off-stage. He purchased a chimpanzee named Bubbles and was diagnosed with vitiligo. This skin condition which causes loss of pigmentation in the skin would continue to ravage him. In his later days this condition made him look like an emaciated white man. In 1987, he released "Bad" and then bought the 2,800-acre Neverland Ranch in California. He was also at this time veering off into a chequered private life. In his autobiography he claimed he was abused by his dad. While filming an advertisement for Pepsi, his hair caught fire. He had to get some corrective surgeries but many believe it did not just stop there. At the time of his death his face looked so ghastly that his nose had to be almost taped on to stay on his face. He is rumored to have injected himself with female hormones to maintain his falsetto voice. Throughout his career, Jackson blurred the lines between artist, icon, and sadly ridiculed celebrity. Apart from "Thriller" and "Bad", he had a string of hits in the 1980s like "Beat It" and "Man In the Mirror". In 1991, he again came out with the smash hit album, "Dangerous" which had the number, "Black or White". Jackson held eight Guinness records, including most successful entertainer of all time. Jackson famously married Elvis' daughter Lisa Marie Presley. But it didn't last and he married again. He is survived by three children. Things really started going bad for him in 1993. That's when the first allegations of sexual abuse by him surfaced. It was settled quietly out of court. He also scorched headlines for multiple plastic surgeries and increasingly odd behavior. In late 2003, Jackson faced charges of sexually molesting a 13-year-old boy at his Neverland Ranch. Jackson addressed the allegations in an interview to "60 Minutes" and gave details about his home. "I wanted to have a place that I could create everything that I never had as a child. So you see rides, you see animals, there's a movie theatre. I was always on tour travelling, you know, and I never got a chance to do those things. So I compensated for the loss by - I have a good time - I mean, I can't go into a park, I can't go to Disneyland as myself. I can't go out and walk down the street. There's crowds and bumper-to-bumper cars. So I create my world behind my gates." "Everything that I love is behind those gates," Jackson had told "60 Minutes". The cases reached a climax in 2005 and he was cleared of a few charges. But many believed he was guilty and then the idea that he was a sexual predator along with generally being a strange man became too much to handle. Jackson exiled himself. Despite earning hundreds of millions of dollars he was reported to be $500 million in debt thanks largely to his eccentrically extravagant lifestyle. An increasingly frail and financially-challenged Jackson had been preparing for a 50-concert run in London, billed as his comeback tour. And the shows were declared sold out despite his scandal-tainted final years. When he died Thursday, a large crowd formed outside the hospital and his home, playing Jackson's music, as news crews and reporters jostled for stories and as news helicopters hovered overhead. For, in the end, the only redeeming quality of the man was his work.